According to the Centers for Disease Control, every year, 30,000 people are killed in auto accidents. In 2013 alone, car accident deaths cost the country approximately $44 billion in medical expenses and lost wages. These figures don’t even begin to account for the losses individuals and families suffer following car crash related personal injuries. Motor vehicle accidents can leave victims suffering from serious injuries, including spinal cord injury, brain injury, back injuries, broken bones, internal injuries, and post-traumatic stress disorder. These injuries can be costly to treat and can result in days or weeks of time missed from work. If you or a loved one was hurt in a car accident, you may be entitled to receive compensation for your medical costs, lost wages, and pain and suffering damages. Most car accidents are caused by human error behind the wheel. Speeding, reckless driving, drunk driving, texting and driving, and other acts of negligence can leave families and victims devastated and suffering. 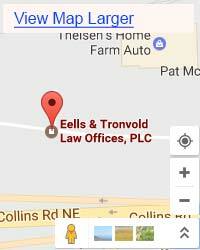 Eells & Tronvold: Law Offices, P.L.C. are car accident attorneys in Iowa who work closely with families whose lives have been impacted due to an auto accident. Our firm can speak to insurance adjusters, seek a recovery from negligent parties, and help you better understand your rights under the law. Call us today at 319-393-1020. According to the Center for Internet and Society at Stanford Law School, approximately 90 percent of auto accidents are caused by human error. This means that most crashes will have someone to blame. Under Iowa law, individuals who are responsible for an accident are required to pay for the damages they cause. If another person’s actions behind the wheel resulted in your injuries, missed time and work, and pain and suffering, you may be entitled to collect damages. What are some common causes of car accidents, and what should you do if you’ve been in a wreck? Distracted Driving: According to the National Highway Traffic Safety Administration, distracted driving resulted in 3,477 deaths in 2015 alone. Distracted driving is reaching epidemic proportions in the U.S. As more cars come equipped with entertainment dashboards and GPS systems, and as cell phone use becomes ubiquitous, distracted driving is a major contributor to car crashes. If you believe that another driver may have been texting or on his or her cell phone while driving, you may be entitled to seek a recovery for your losses. Eells & Tronvold Law Offices, P.L.C. are auto accident lawyers in Iowa who can investigate your crash to see whether distracted driving may have been a contributing factor. Drowsy Driving: If your accident took place at night, there is a possibility that the other person involved may have been tired behind the wheel. Fatigued driving can impair a driver as much as alcohol or other substances. Drowsy driving is so dangerous that truck drivers are required to abide by hours of service laws. The Iowa car accident lawyers at Eells & Tronvold Law Offices, P.L.C. can investigate your crash to see how long the other driver may have been on the road. Drunk Driving. Drunk driving is incredibly dangerous. The decision to drink and drive can impact victims and families for many years. Law enforcement may require drivers to submit to breath tests or blood tests to determine if the driver may have been drunk or under the influence of drugs. As America’s opioid epidemic worsens, officers may also check a driver’s blood for the presence of prescription drugs. These drugs can impact a driver’s ability to operate a motor vehicle safely. Speeding: Speed kills. A driver can be speeding even when technically following posted speed limits. For instance, if roadways are slick, snowy, or wet, or if visibility is low, drivers may need to slow down to drive safely. Your car accident lawyer in Iowa may be able to speak to experts who can examine the impact forces and damage to your vehicle to determine whether the other driver may have been in violation of speed laws. Violation of Road Rules: Drivers are required to abide by many rules of the road to promote the safety of all involved. When drivers break the law, they can endanger not only themselves, but others. If the other driver was in violation of the law, you may be entitled to collect damages. Contact Eells & Tronvold Law Offices, P.L.C. 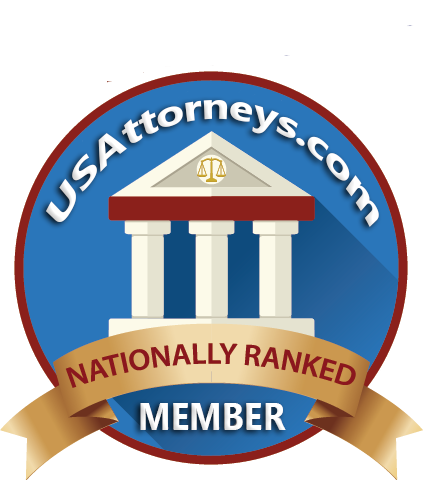 auto accident lawyers in Iowa. 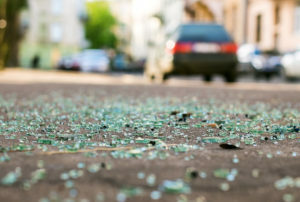 If you or a loved one has been hurt due to the negligence or neglect of another driver, you may only have a limited amount of time to seek justice under the law. Iowa’s statute of limitations laws may restrict how long you may have to make a claim. It is important to act swiftly. Call the Iowa car accident attorneys at Eells & Tronvold Law Offices, P.L.C. today to learn more about your rights. One of the challenges you may encounter after a crash may involve insurance claims in Iowa. After a crash, you may contact an insurance adjuster who will review your policy, your injuries and damages, and offer you a settlement for your accident. If you believe that your settlement is lower than expected, or lower than your damages, you may want to contact the car accident lawyers at Eells & Tronvold Law Offices, P.L.C. in Iowa. Our firm can speak to adjusters, submit relevant evidence, and review your insurance policy to fight for the maximum recovery under the law. Insurance adjusters sometimes use formulas or estimates to value your claim. In some cases, you may be able to collect a larger recovery by submitting proper evidence. We can help. Eells & Tronvold Law Offices, P.L.C. 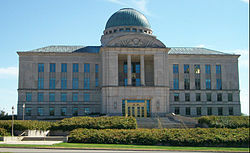 are auto accident lawyers in Iowa who work closely with victims and families to help them seek justice after a crash. Our firm understands the unique challenges that families face after a car accident. We offer compassionate and caring counsel, supporting you as you navigate the legal process.